OAN was involved in the research and development of a new improved pruning ladder. Prototypes are available for use by members and we are currently exploring production options. Another product is the stem injector for use in killing standing trees when thinning or for willow control. These are just two examples of how the network can introduce new technologies to the region. We are currently reviewing a wide range of products: including a flexible wallaby tree guard, alternative commercial species, new hybrid eucalypts for timber, chainsaw timber mills, and on-farm timber treatment options. To make these available to members, the network will work with local nurseries and other service providers across the region. Many in our community are concerned about timber companies purchasing farms for large plantations. As a community group the network would like to see plantation development support, rather than replace, our rural communities. This raises the possibility of the network being involved in helping negotiate commercial arrangements between farmers and industry that result in commercial plantations being better integrated into the rural landscape. 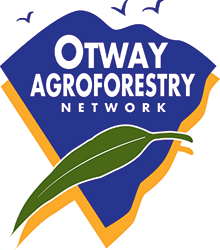 This integrated proposal builds upon OANs philosophy of utilising the leadership and experience of successful farmer innovators to encourage the wider adoption of farm forestry and commercial opportunities from vegetation as an integral component of more productive farming.